Results and photos from the weekend’s All Island Invitational Short Course at the Hagatna Pool! After dominating the medals podium last year at the Micronesian Games, National team members representing the Guam Swimming Federation look to ride the wave, no pun intended, to the XV Pacific Games next month in Port Moresby, Papua New Guinea. 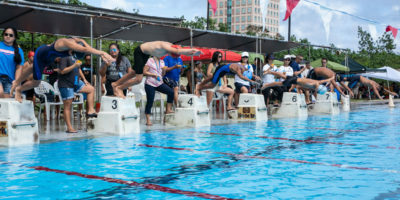 Local swimmers joined athletes from Saipan and Palau for the Guam Championships hosted by the Guam Swimming Federation held from May 29th-30th at the Hagatna Pool. 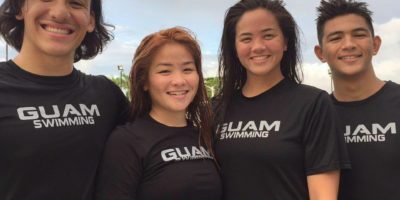 Several records were broken as the best swimmers from around the island gathered for one of Guam’s major meets, including a four-record breaking day from Jagger Stephens. Olympian Benji Schulte finished first in the 5-mile leg, while youngsters Tommy Imazu and Oriane Guillot finished first in the 2.5-mile leg of the 25th annual Cocos Crossing. GSPN catches up with Guam/CNMI legend swimmer Jonathan Sakovich. Look out for Joshua Lujan. The former Guam resident and Oklahoma swimming standout just garnered five medals in the AAU Junior Olympics in Iowa over the weekend. Twenty-one-year-old Manami “Mana” Iijima is quite the athlete. This stellar young lady was a top swimmer for many years and is now making headlines in triathlons.